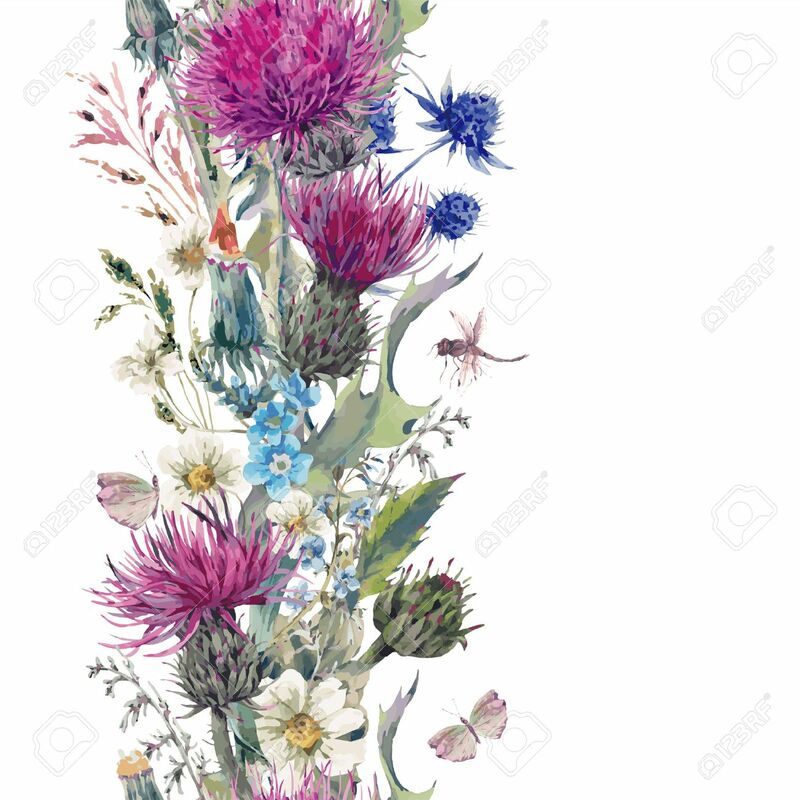 Vintage Vertical Herbal Seamless Border With Blooming Meadow Flowers-Thistles, Dandelions, Meadow Herbs, Chamomile And Dragonfly. Botanical Floral Vector Vintage Isolated Illustration On White Royalty Free Kliparty, Vektory A Ilustrace. Image 57230631.